Thomas “Tom” Cruise Mapother IV is an actor and producer from Syracuse. Cruise started his career as a successful actor at 19 when he starred in ‘Endless Love’ (1981) and ‘Top Gun’ (1986). He has collaborated with some of the finest actors in the world including Nicole Kidman, Jon Voight, and Jack Nicholson. As of 2019, Tom Cruise’s net worth is estimated to be roughly $570 million dollars. Cruise is throughout the 20’s decade one of the highest paid actors. Thomas “Tom” Cruise Mapother IV was born in Syracuse, New York on the 3rd of July, 1962. Cruise is the son of Thomas Cruise Mapother III and Mary Lee. He is of German, Irish and English ancestry and spent most of his childhood in Canada. Cruise later attended Franciscan Seminary and in Ohio, and his parents divorced during the same time. In his senior years, he played football. Cruise had his debut appearance in 1981 when he starred in the film ‘Endless Love’. Tom Cruise started his early career as an actor when he starred in a small role in the 1981 film ‘Endless Love’ when he was 19 years old. Cruise continued his early career by playing roles in some more films. He portrayed ‘Joel Goodson’ in the comedy ‘Risky Business’ in 1983, which became a big hit. Cruise had his big breakthrough in 1986 when he had the role as ‘Lieutenant Pete’ in the action drama film ‘Top Gun’. The movie became a huge success, cementing his reputation as a superstar. His streak of success continued over the late 1980’s with films such as ‘The Color of Money’ (1986), ‘Cocktail’ (1988), and ‘Born on the Fourth of July’ (1989). He also achieved success also in 1996 when he played the role of Ethan Hunt in the spy and action movie ‘Mission: Impossible’. The film was a huge box office success an spawned several sequels. Tom continued to be highly bankable and popular throughout the late 1990’s and 2000’s with films such as ‘Eyes Wide Shut’ (1999), ‘Vanilla Sky’ (2001), ‘Minority Report’ (2002), ‘The Last Samurai’ (2003), ‘Collateral’ (2004), ‘Rock of Ages’ (2012), and ‘Edge of Tomorrow’ (2014). Since then, Tom Cruise is known for being one of the highest paid actors in the world. He has collaborated with some of the best actors in the world. He is most famous for his performance as ‘Ethan Hunt’ in the ‘Misson: Impossible’ films. The series is the 17th-highest grossing film series of all time with over $2 billion worth of worldwide gross. As of 2019, Tom Cruise’s net worth is $570 million. Life is short and precious. Now we must pose the question: What do we all do in our free time? Don’t waste time on what’s not important. Don’t get sucked into problems and drama. There’s always someone who takes a dislike at you, you can’t’ waste time worrying about it. Treat your body like a temple. Lighten up yourself, no one is perfect. Your body is your home, treat it with love and respect. Not everything you do have to be shared with the world. There will always be a different with oversharing and having an opinion, one is far more annoying than the other. Don’t let anyone in, and expose too much. Tom Cruise is by far one of the best actors in history with his impressive performances in ‘Top Gun’ and the Mission Impossible franchise. There’s no doubt that Cruise will remain one of the best and highest paid actors in the world. As of 2019, Tom Cruise’s net worth is roughly $570 million. 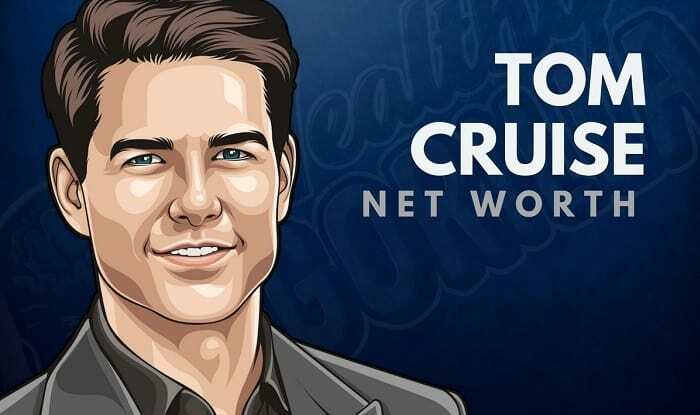 What do you think about Tom Cruise’s net worth? Leave a comment below.